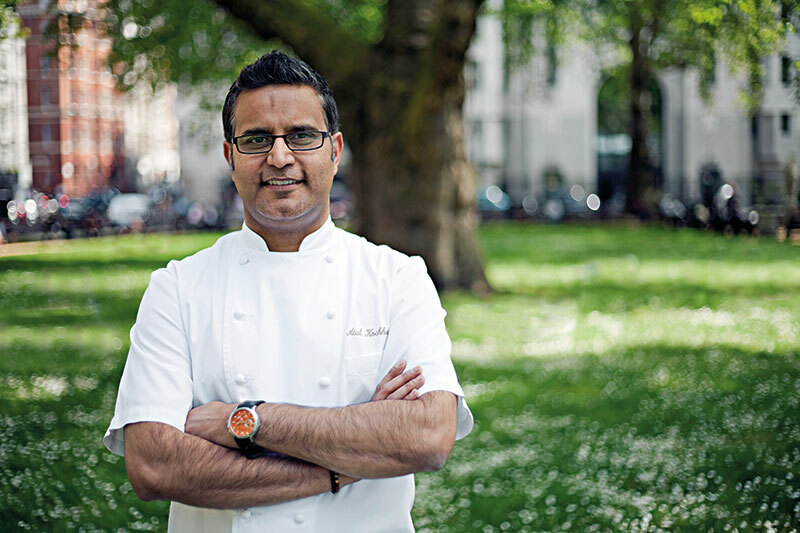 At this Michelin-starred, Mayfair restaurant Benares in London, Chef Atul Kochhar combines “tradition with daring modernity”. This was recently demonstrated to Mumbai’s food lovers at a pop-up of the London establishment at his Mumbai eatery NRI, where they were treated to a tasting menu available at Benares. The flavours remained authentic — though tending to be sweet rather than spicy — to Indian food, while the presentation made the experience very different. A piece of onion bhajia was the amuse-bouche and, while not new for us here, it served to alert the taste buds to the fare to come. The starter plate included a pan-seared scallop with a grape and ginger dressing and an Indian five-spice pickled prawn that was quite delicious. Can you escape from pies in England? 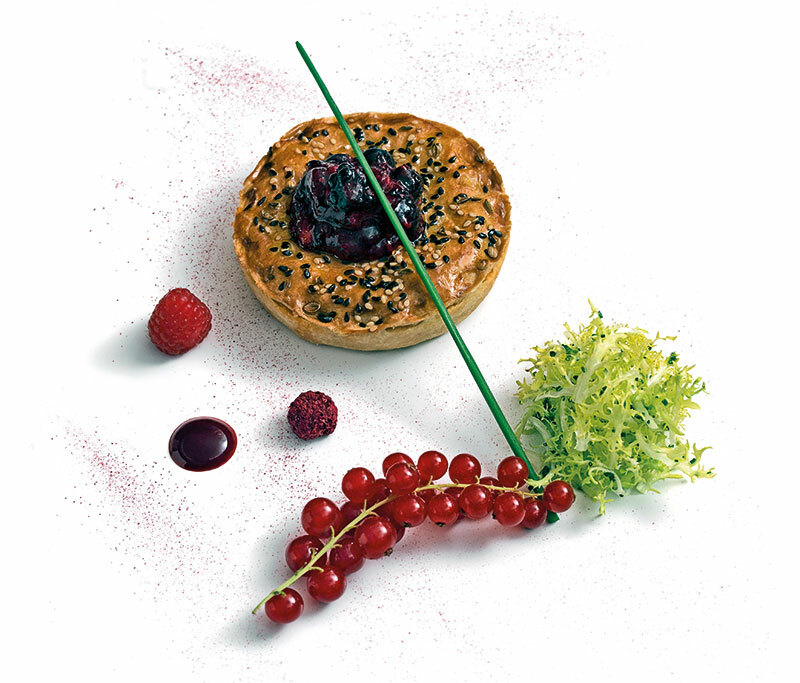 Not surprising, next up came one with a twist — a tandoori chicken tikka pie with mixed berry chutney. If you thought that this was taking fusion too far, well, it worked! The chargrilled Norwegian salmon was cooked very lightly in coconut and curry leaf sauce while the Cornish crab croquette was served with a smoked tomato chutney. The sorbet now failed to stand up to the city heat, probably more used to cooler climes but the roasted loin of Australian lamb and tandoori cutlet served with rogan jus, dal makhani and rice made for traditional food with an exciting spin. The gulab jamun brûlée to end was, well, different. A taste of Michelin-starred cooking in our city that has no stars was enjoyed by the crowded room for sure…. How is the cuisine at Benares different from what you do at NRI? NRI stars dishes that Indian immigrants took with them to far corners of the British Empire, adapting the recipes to locally available ingredients. The decor at NRI has a 1920s vibe, featuring Victorian lamp posts and old railway-station seating. Benares on the other hand is a fine dining restaurant that has retained its Michelin star for 11 consecutive years now, one that marries tradition with daring modernity, handcrafted furniture and water features with an elegant, exotic interior. What is exciting about Indian food today? What were the difficulties in recreating the Tasting Menu available at London’s Benares, in Mumbai? Obviously the biggest difficulty was sourcing quality ingredients. I have been aware of this issue in India for some time, so we had to make some minor adjustments. Did it mean a lot to you to showcase your food in Mumbai? Absolutely! I’m proud of what my team and I have achieved. I was a little apprehensive about how it would be received, but after all the positive feedback, I couldn’t be happier. Why did you not recreate a Benares in Mumbai? At the time, I wasn’t sure if India was ready for a Benares. How did your Indian-British fusion cuisine come about? In what way is it different from traditional Indian cuisine? It has been a long, dazzling journey but I am always quite pragmatic when it comes to representing Indian cuisine in the UK. For a British person, it’s still just about wanting monkfish caught in Cornwall and crab that’s English. Beyond that, it’s ‘Whatever flavours you want to add, bring it on. I love my Indian food and I love British food’. Earning my very own Michelin star for Benares. What are your plans for the future, for NRI? This year we are bringing NRI to the UK so it’s going to be a very busy few months ahead.